The right case is a mixture of form and function. You are looking for a certain amount of protection and other features but you also have to like the way it looks. This is why Speck offers several options for each supported device and is the reason each winner of this giveaway will get 2 different cases for their new Google Pixel 3 or Pixel 3 XL. And let's answer your first question right away: Yes, you can still do wireless charging with these cases on your phone. 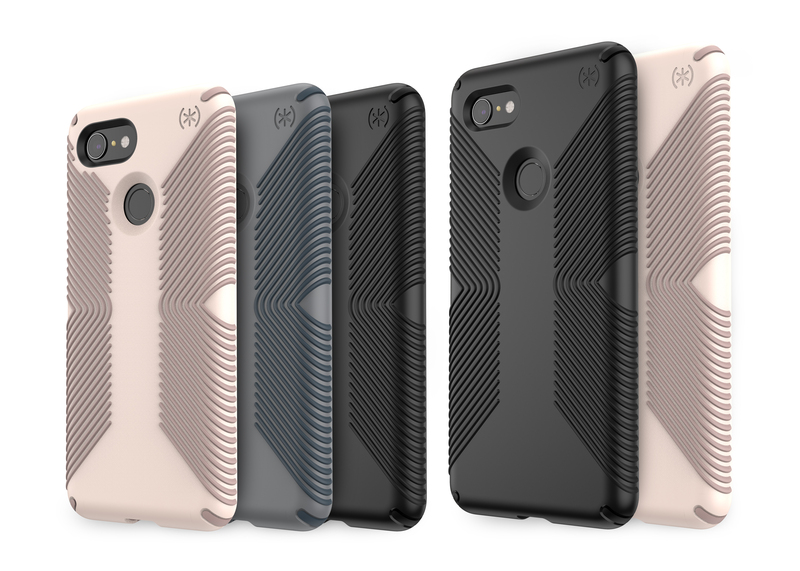 If you love the way the Pixel looks already — and if you're going to get the Not Pink color, you just can't cover it up — then why not pick a case that shows it off? The Presidio Stay Clear lets you protect your phone from the elements, including oils, lotions, and UV rays that can discolor your phone over time. Even better, the case itself stays clear; that is, it also does not become discolored from sun exposure and common foreign substances. If you've ever used a clear case, you know that the cheap (and some of the expensive) options have a habit of turning yellow. That is not something you will need to worry about with the Presidio Stay Clear. The case also is designed with IMPACTIUM™ CLEAR, which protects your phone from drops and other impacts while staying light and clear. It is tested to stay intact and protect your phone from damage when dropped by up to 8 feet. Unless you are really, really tall, this should cover just about any drop that occurs. You can learn more or buy it now ($39.95/$44.95) at Speck's Presidio Stay Clear product pages: Pixel 3, Pixel 3 XL. If you would rather give your phone a new, bold look, the Presidio Grip might be more your style. Not only does the Presidio Grip give you a number of colors to choose from (see the feature image for all of the current options), it features my favorite kind of protection: prevention. The no-slip grip integrated into the case means you are probably not going to drop your Pixel. Likewise, taking a sharp turn in your car or bumping into a table is much less likely to cause the phone to go sliding into oblivion. 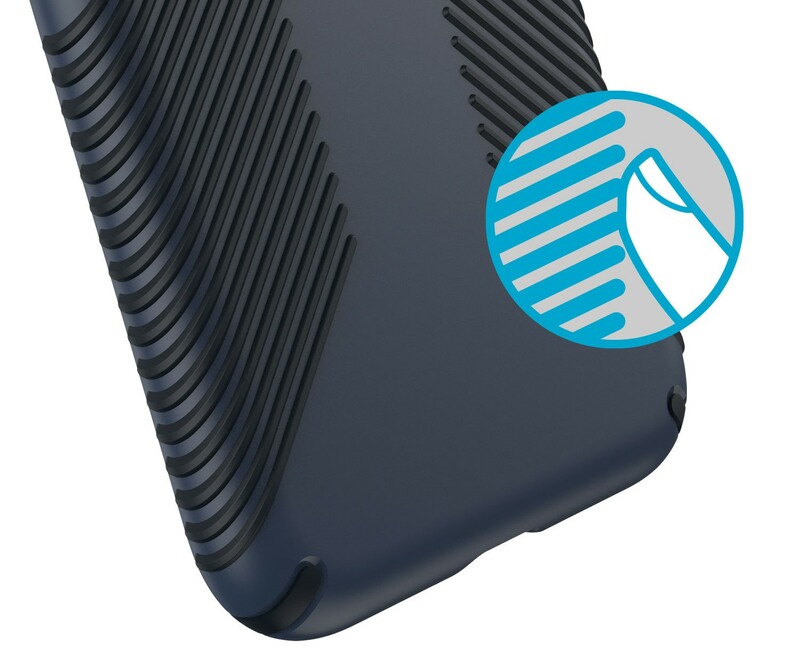 Of course, if that does happen, the Presidio Grip is made with IMPACTIUM™ Shock Barrier to prevent damage to phone or case in most common drop scenarios. It is tested for up to 10 foot drops, so as long as you aren't playing catch with your phone, you should feel very safe. The raised front bezel offers extra screen scenario in case your Pixel falls directly onto its screen. You can learn more or buy it now ($39.95/$44.95) at Speck's Presidio Grip product pages: Pixel 3, Pixel 3 XL. 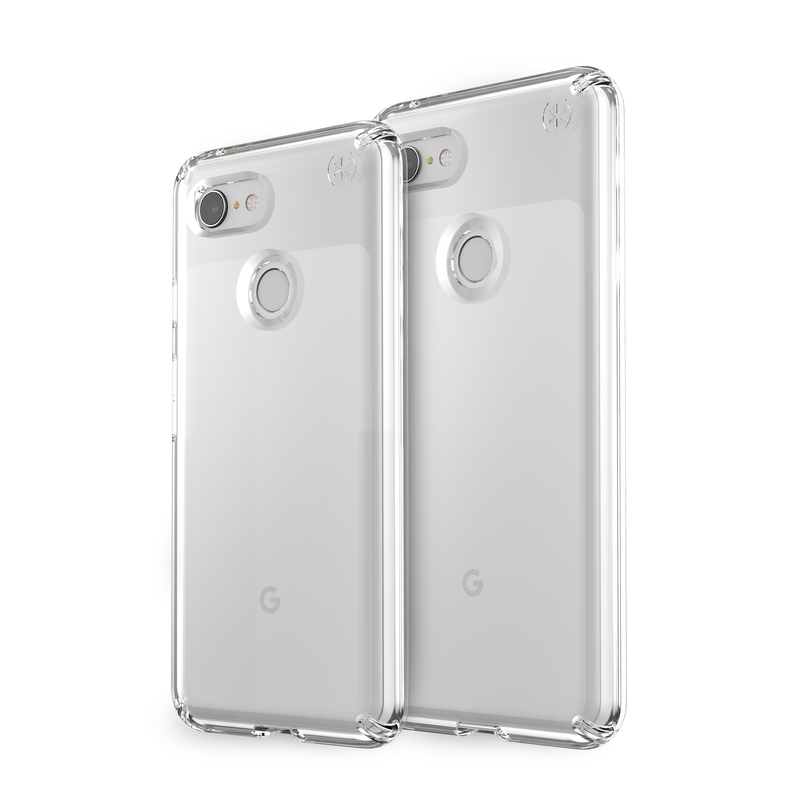 10 people will win a 2-pack including one each of the above models for the Google Pixel 3 or Pixel 3 XL. You will have the opportunity to choose your preferred color for the Presidio Grip. You must have US mailing address to claim your prize. The giveaway ends at 11:59pm Pacific Time on Monday, October 15th. Be sure to stop by each day to get a free daily bonus entry!